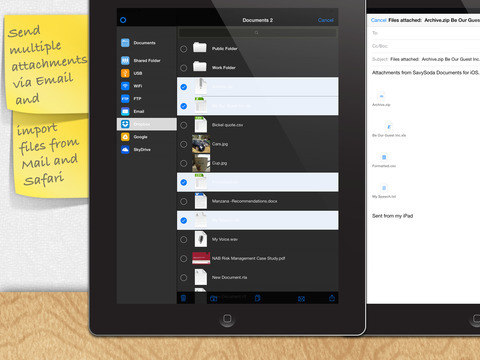 Documents Pro 7 lets you create, store, manage, print or share all your documents, spreadsheets, photos, videos, and recordings on your iPhone, iPod, and iPad! The user interface is finder & Microsoft explorer like. You can view, edit, email, airprint, and transfer files via google, usb, wifi, ftp dropbox. 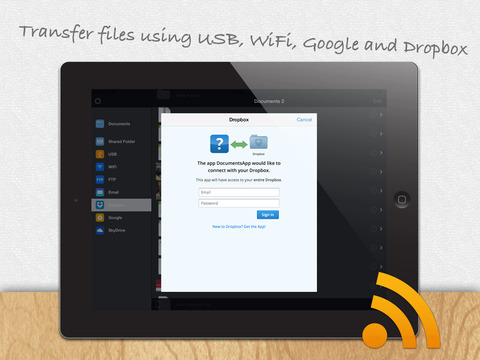 Files can be automatically backed up and synchronized across all your devices using iCloud! 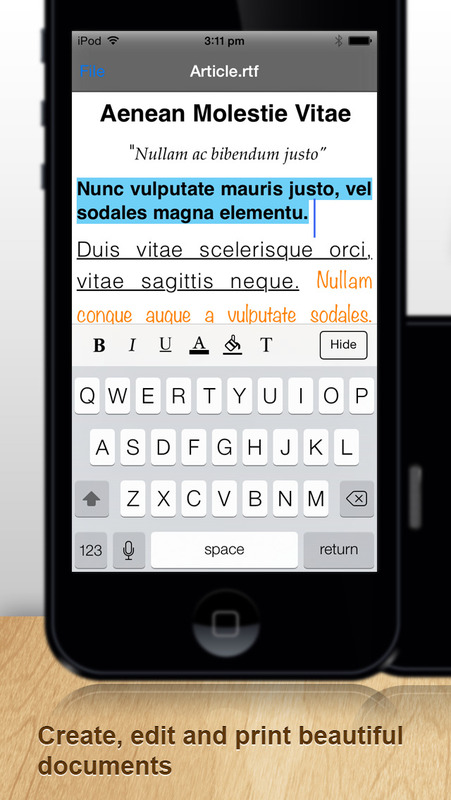 Built on top of the acclaimed documents iPhone suite. 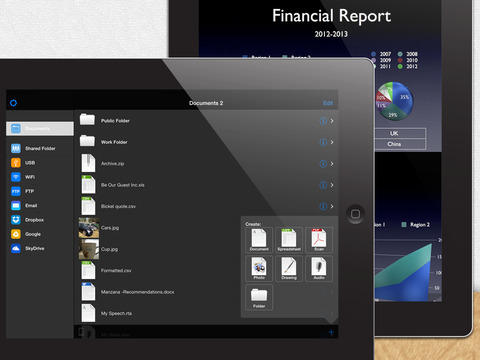 Documents 2 is a simple to use mobile office suite and file management system for iOS. iPhone. 8 Premium Apps in One. Most essential productivity and business apps in one easy to use, high quality package. 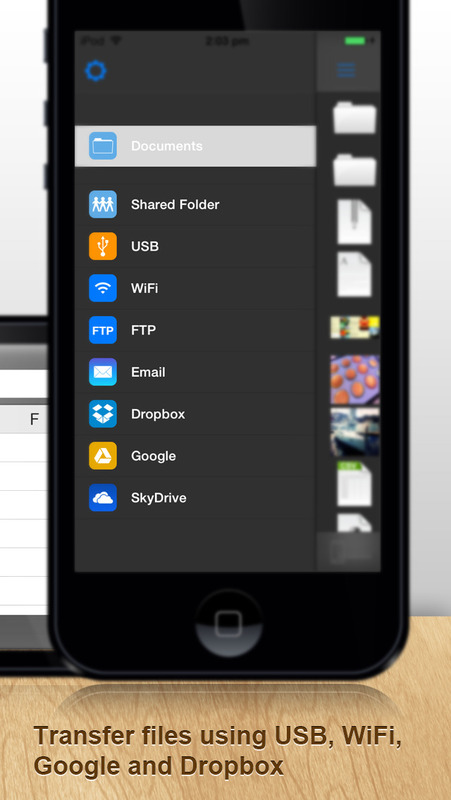 Transfer documents to/from your iPhone via FTP, WiFi, Google, Dropbox or Email. Edit and View many types of documents on the fly. A powerful, top value, must have app for any iPhone. • USB, FTP, WiFi, Email and Google Transfer! More flexible than AirSharing and more features than QuickOffice! One app, one friendly price, enable the full power of your iPhone, iPod, and iPad! – fixed orientation rotation issues. – fixed multiple email attachment issues. – added document search functionality. – Improved editing for paint documents. – Improved support for online files. – Added workflow feature. Open any stored documents with other Apps! – Fixed issue with printing RTF Files. – Fixed localization support for Spreadsheets.